Holidays are a great way to get inspired. 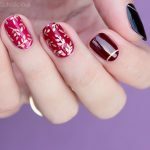 I’ve just returned from Thailand overflowing with ideas so here’s a Bavorn Niwet temple inspired nail art tutorial, just for you! It was my first time in Thailand and I was so impressed by the magnificent architecture of the Thai temples I saw. There are so many intricate patterns on the walls, ceilings and even the floor. 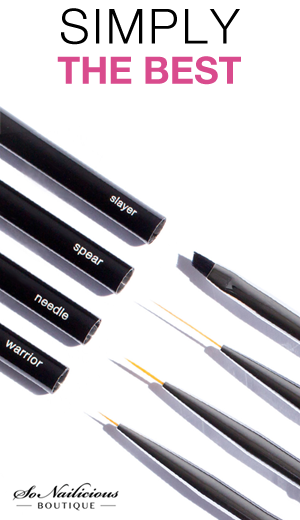 It’s paradise for any artist seeking some pattern inspiration. 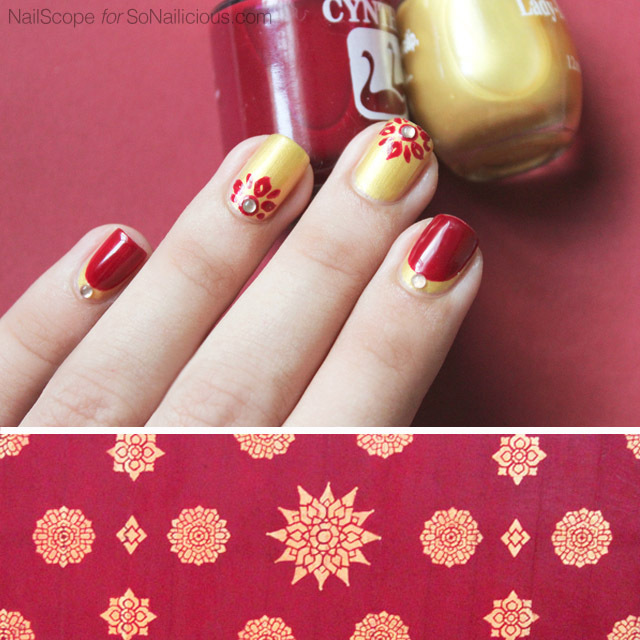 Today’s manicure was inspired by the ceiling pattern of Bavorn Niwet temple. 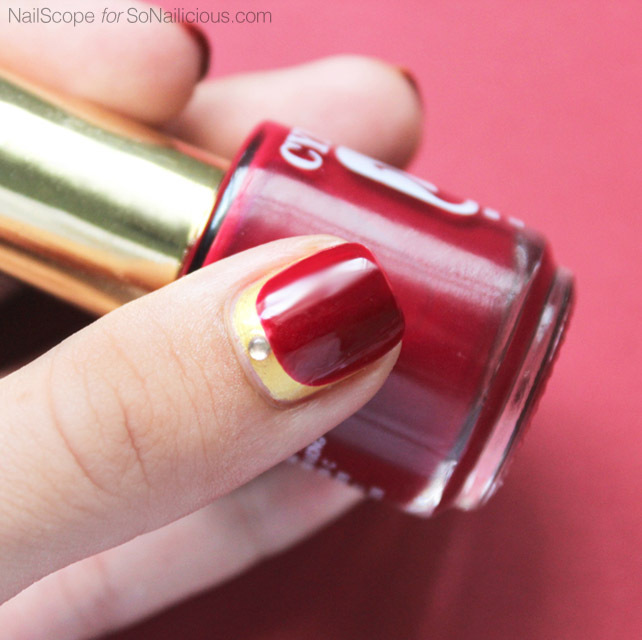 The luxurious combination of deep red and gold makes it perfect for an evening manicure. 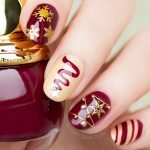 The nail design requires some basic nail art skills so if you’re a beginner, take your time while creating the pattern. Don’t rush and your patience will be rewarded. 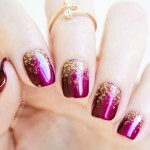 Apply 2 coats of gold nail polish on all nails. Starting with the ring finger, use a detailing nail art brush draw one big dot at the base of your nail and three flower petals. Add the smaller petals as pictured. 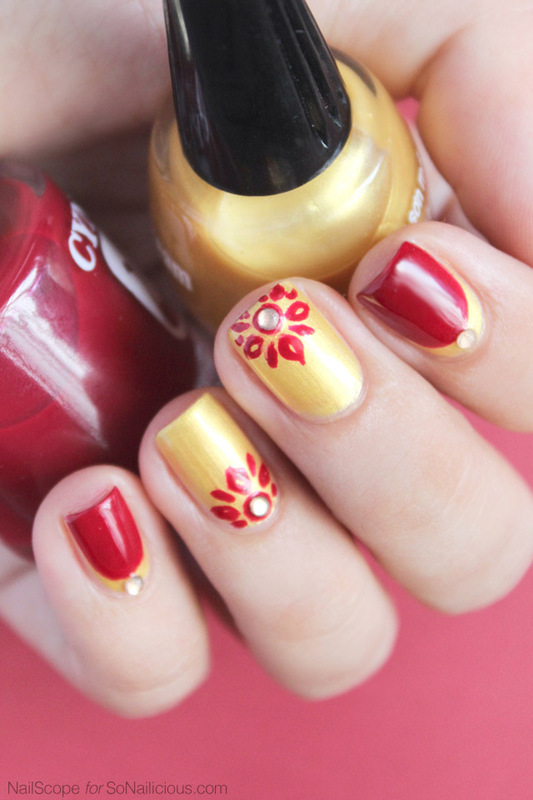 Repeat the same on the middle finger, only this time draw the flower at the tip of your nail. With red polish do the ruffian manicure on the other nails (for how-to refer to this Ruffian nail tutorial from Maria’s e-book). 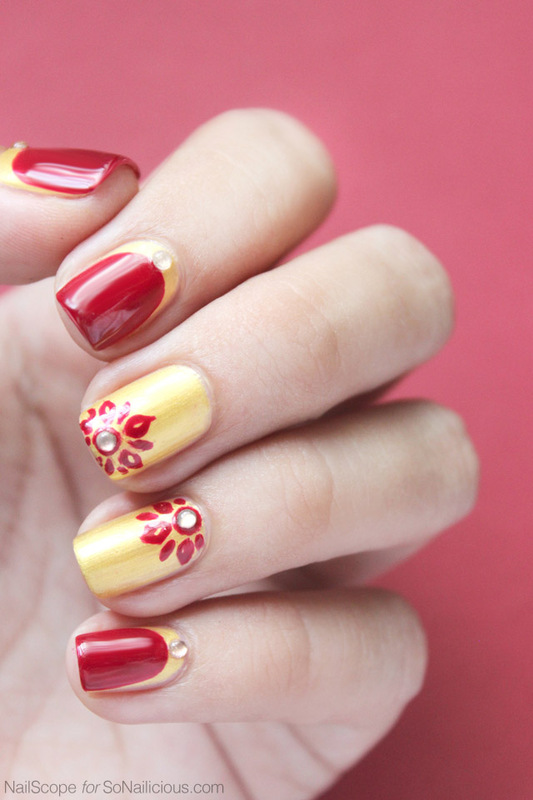 Add one gold rhinestone on each nail. 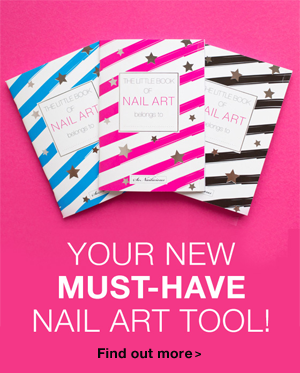 Finish your nail art with 2 coats of a fast drying top coat. Used: Orly Bonder base coat, Lady Dream #8, Cynthia #5 and Seche Vite top coat. Have you ever been to Thailand? 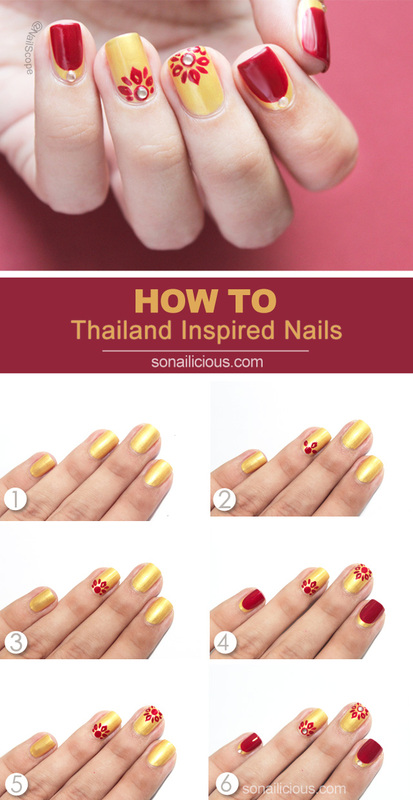 How do you like this red and gold Thailand nail art, will you give it a go?